It feels like the Christchurch inner city rebuild is starting to take shape. The Re:START container shopping centre now feels like the temporary shopping solution it was always meant to be and construction is going on all around its edges. 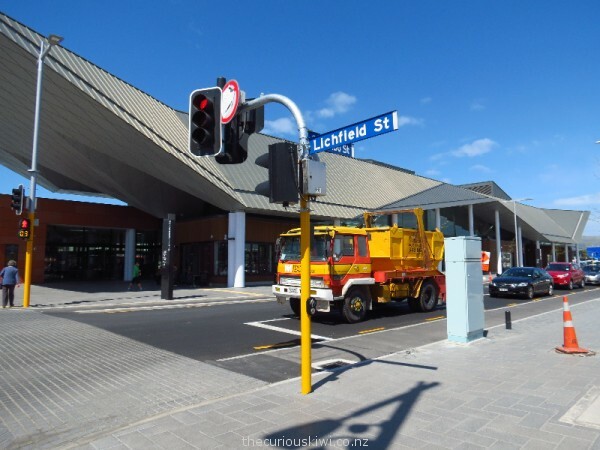 The new bus interchange is fully operational and its facilities for cyclists (more below) help lay the foundations for a very bike friendly city, the city’s flat terrain is a bonus as well. The restored Isaac Theatre Royal has been open nearly a year and takes pride of place on Gloucester Street, the calendar is stacked with events for November. The Stranges Lane dining precinct on Lichfield Street opened in August 2014 and was doing a steady trade when we walked through looking for dinner. Nearby, the new Dux Central may be a beacon amongst empty sections at the moment but one building is on its way up next door and we’ll be interested to see the area again next year. Below are some new and curious additions to the city rebuilding ……. Dux Central craft beer bar and grill opened just over a month ago, it’s the third Dux to join the stable which includes Dux Dine and Dux Live (closed Jan 2016). On opening night the interactive urinals attracted TV coverage, we couldn’t get passed the graphic images on the toilet doors but if you’re curious you can see both via TVNZ. 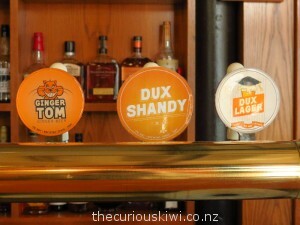 It was the Dux Shandy on tap that caught my attention and my dollars. New drink drive limits may have increased the market for mid strength drinks and the shandy at 3% alcohol is also an option for those who’ve found craft beer a bit too hoppy. 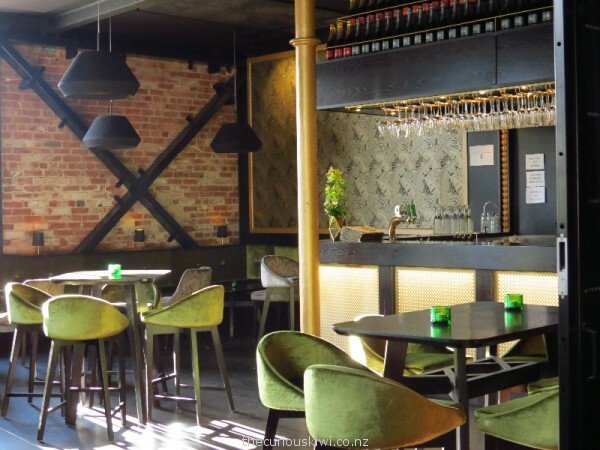 As well as a craft beer bar, Dux Central has an adjoining wine and spirit bar, a classy space where I’ll be looking for the reinvention of Miami Wine Cooler next time round. Contemporary art is on display around the city as part of the 8th SCAPE Christchurch Biennial until 15 November. Striking figure sculptures by Methven based sculptor Hannah Kidd attract plenty of attention at Re:START. 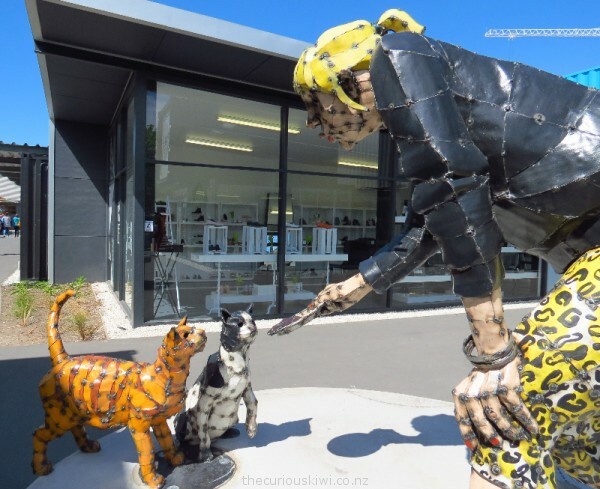 The sculptures are based on every day heroes who have continued their daily routines and helped others following the Canterbury earthquakes. Free guided tours of the art works are run every day at 12.30pm. Hannah Kidd is also one of the sculptors whose work will be included in Sculpture on the Peninsula from 6 – 8 November. 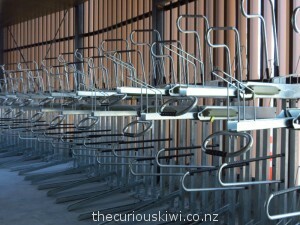 Christchurch’s new bus interchange includes some nifty features like under cover and stackable parking for bikes. There are also charge points for electric bikes. Many buses now have bike racks for those who want to cycle/bus about. The under cover bike parking is open to all, it’s free and is steps away from Re:START shopping. A crowd funding campaign started by Robert Henderson helped get a bike share pilot up and running. If you’ve used Next Bike in Auckland or Cambridge you’re good to go, if not you need to sign up. The first 30 minutes are free thanks to Spark, it’s $4 per hour thereafter or $20 for 24 hours. 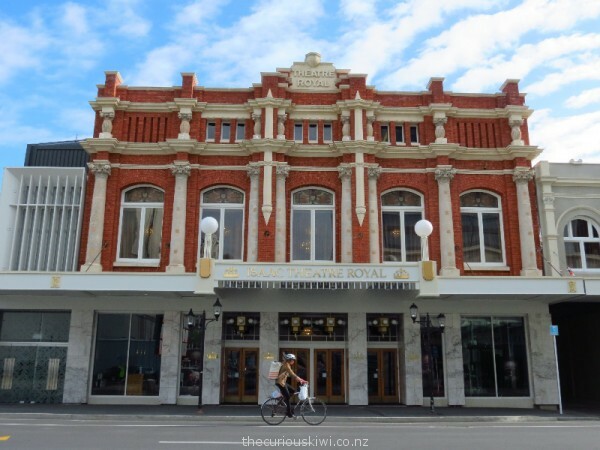 Cycling in Christchurch is a terrific website full of information on where to ride, bike events, hire options etc. Sound Garden relocated to Peterborough Street earlier this year thanks to Greening the Rubble and Gap Filler. The garden is opposite the central library and there is a container cafe onsite. The instruments are made from all sorts of used materials like old fire extinguishers and big concrete pipes, the pipes are ideal drums for kids, and the large swinging rain stick sounds quite beautiful. Next to Sound Garden is Arts Central which has been displaying and selling the work of Christchurch artists from a portacom for at least a year. Unfortunately I visited out of hours but the Facebook page shows some of the work on display. Arts Central is open 10am – 5pm daily. The Tannery has an eclectic range of stores and it’s well worth the short drive from the city to Woolston. 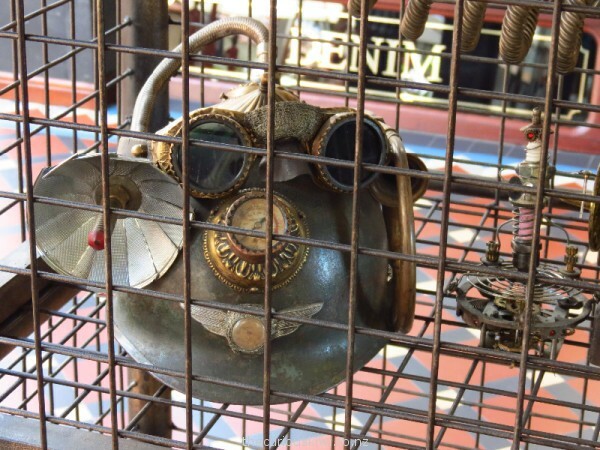 If you like steampunk and curious contraptions you’ll like what’s in Sgt Steppensquire’s cabinet. The cabinet is likely to be at The Tannery temporarily, but see Canterbury Steamworks and their most excellent Gentleman’s Stand. 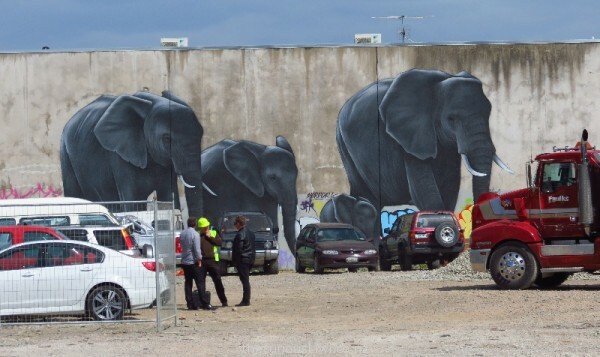 Street artists from New Zealand and overseas have painted large scale art works on walls in Christchurch’s inner city that provide bright spots in an area dotted with demolition and construction sites. From 12 December 2015 until 17 April 2016 the second Spectrum Street Art Festival will be held in association with the YMCA, and another 10 city walls will get a makeover. 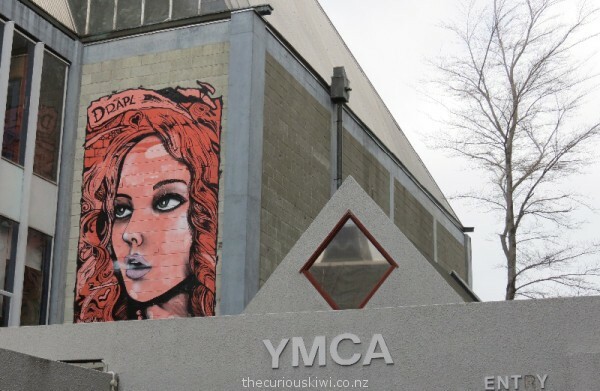 The YMCA plan to create the world’s first Street Art Museum inside their stadium on Hereford Street. They are looking for donations and corporate sponsorship to reach their target of $8 million. So far $3 million has been raised, donations will be acknowledged in a variety of ways and the planned start date for the build is April 2016. 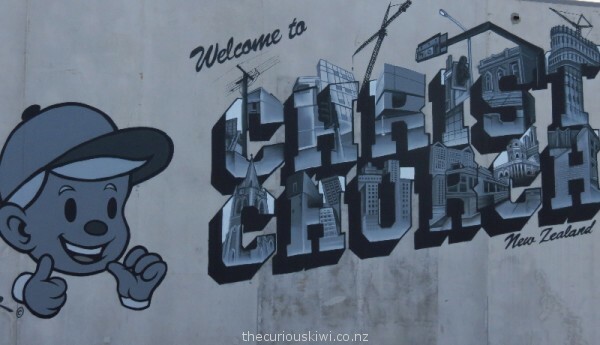 This entry was posted in Curious Christchurch, Unusual New Zealand and tagged craft beer, street art by thecuriouskiwi. Bookmark the permalink. You’re most welcome. 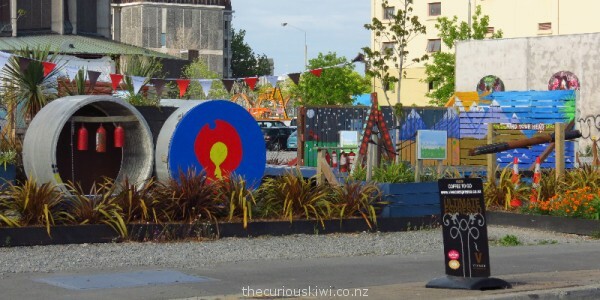 I hadn’t heard of Skulltopia, for anyone keen to check it out in Christchurch it’s part of the Great NZ Craft Show from 12-14 August (Skulltopia will also be part of the Dunedin, Blenheim and North Shore shows). Best of luck for the auction.